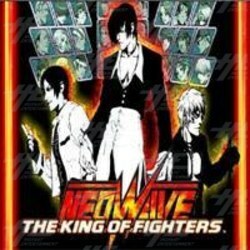 King of Fighters 2004 Neo Wave, the first arcade title for Sammy's Atomiswave system, is now available for immediate shipment in the form of a full kit including Sammy's new Atomiswave motherboard system, game cartridge and player instructions. An installment of the King of Fighters series, the game features 2D graphics, a three versus three team battle system, and a defense system adopted from Garou: Mark of the Wolves. KOF 2004 Neo Wave features a number of modes players can enter to give them advantages over their opponents. A player can use the Heat Mode function to increase their attack power, however, while they are engaged in this mode, their body blinks red and their physical strength decreases gradually in exchange. When they wish to startle their opponent, a player can employ the Super Cancellation Mode. In this mode, a player can begin a special move, but cancel it into a different move, so their opponent will be too confused to block the blow. Max 2 Super Attack Mode can be used when a player's power stock or life becomes a quarter or less, and is a last-resort attack as it limits a players ability to complete other moves. Guard Break mode can be used by a player to break their opponents guard, and leave them vulnerable to further attacks.